Italy really does have a knack for giving birth to some seriously talented producers and Aniello Federico aka Hollen is no exception. This young artist has been releasing music since 2009 but really broke through last year with a string of releases on some of the biggest labels in the underground including Kling Klong, Trapez and Octopus to name just a few. Moan are the latest label to sign up Hollen’s talents and we can see why. The lead track from the E.P titled ‘Safari’ is huge. The groove is relentless and is a perfect slice of peak time tech house. 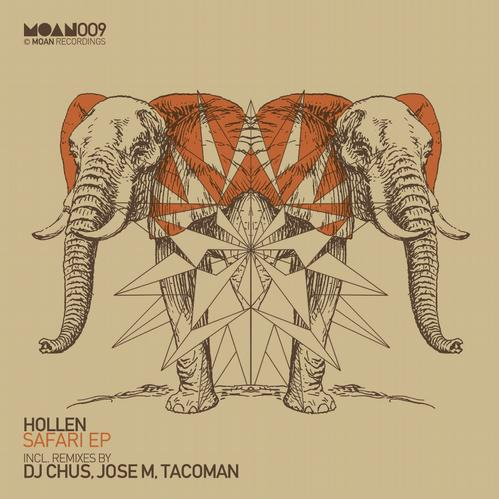 We have always been impressed with Hollen’s music, his drums really stand out and he has definitely managed to carve out a unique sound that has rightly got the attention of some of techno’s biggest labels and artists including Richie Hawtin, Dubfire and Sian.